In this month's Something You Should Know, we're focusing on Diabetes Awareness and how one of NASCAR's stars, Ryan Reed has navigated this disease and continues to advance in his sport, work with his doctor and to loop in his racing team. 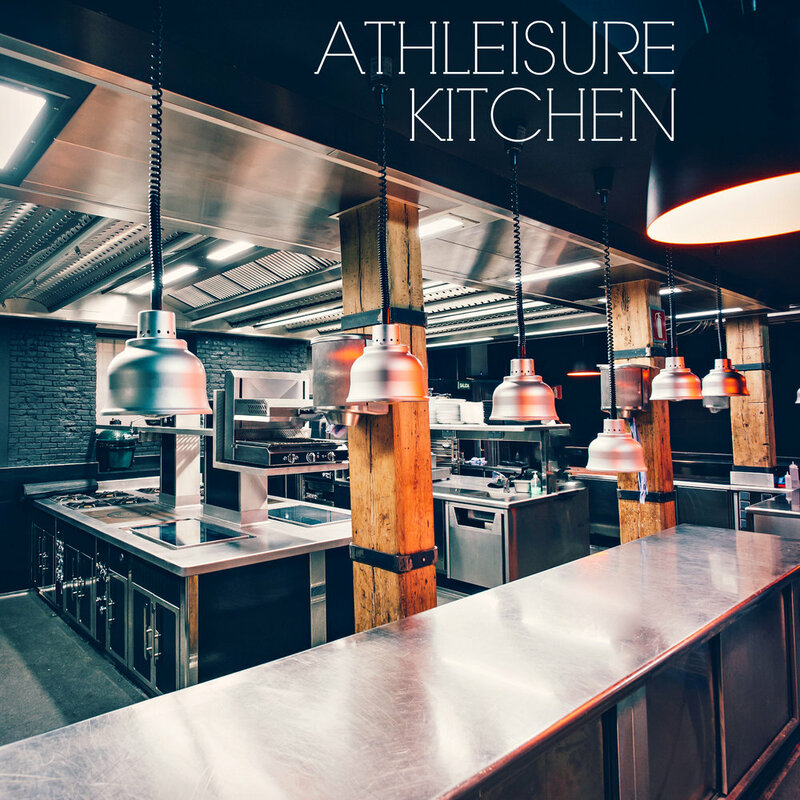 ATHLEISURE MAG: We grew up watching motorsports and primarily Formula 1 as our Co-Founder is from Indianapolis and upon entering college, began enjoying watching NASCAR. How did you get into racing? RYAN REED: My dad raced in NASCAR. I grew up in California which was kind of difference because racing wasn’t as popular there as it is in other parts of the country. There was still quite a bit of racing and of course, I loved it – love being at the track and being like dad. I started racing go carts and by the time I was 10 or 11, it was a lot more than just a hobby and it was something that I wanted to pursue as a career and to be a professional race car driver. I kind of kept climbing through racing and finally got to where I am today, which is a dream come true, being able to race fulltime in NASCAR. AM: Can you tell us about the cars that race in NASCAR for those that may not be familar with the sport? RR: In NASCAR, we have big heavy cars with not a lot of tire. So basically, we have a lot of horse power in our stock cars that don’t handle as good so our cornering speeds aren’t as high and our straight line speed is just as high because we don’t have a lot of force. AM: What your next race? RR: I have been racing fulltime in the NASCAR Xfinity Series for a number of years now so we’re a little past the half way point, about 2/3 with playoffs starting soon. So I'm getting ready for our playoffs to start and our post season. I'm getting ready for our Championship. Our season is far from over as we’re in the back half of it, but it’s in full swing right now and about to get even busier as our playoffs get here. AM: How many hours do you spend when you’re training in the car versus fitness training outside of the car? RR: I’d say on an average week, I don't really have that because each track is so different that a test session isn’t really applicable unless you go to that track and test it out. We do have like a Fri practice for a couple of hours, we qualify and then we race. It’s very important because it’s very limited time and our preparation before we get to the track whether the team side is preparing cars and running simulation and we have a lot of technology to set our race cars up and computer based information and as drivers, being in the gym as much as possible is about strength training and a lot of endurance training. Obviously, our races are 2.5 hours long and sometimes longer and having endurance based training is really important for us. We also have simulators that are like a video game, but a lot more advanced than that so that we can practice our craft. That’s something that has come along in the past 5-10 years that has helped everyone to get more seat time during the week. AM: When were you diagnosed with diabetes? RR: For me being diagnosed at 17 in 2011, so 7 years ago, I was a little different and it took me a little longer to get back in the car because when I was diagnosed, I was told that I would never race again. I had to find an endocrinologist that works with a lot of other athletes. She was the one that turned things around for me. She showed me a couple of things that I could still follow my dreams and how important it is to work with my doctor. Even today, she is a crucial part in my diabetes management and for sure, a critical part in getting me out there every weekend on the race track. AM: What makes diabetes a challenge for someone that is participating in this sport? RR: There is a lot going on that people don’t understand and for us, we have to deal with something that not many drivers have to deal with which is a changing blood sugar level. It’s all about preparation. Know you diet, know your body – use a Continuos Glucose Monitoring System that we can track where our blood sugar is going before the race and during the race as it mounted in the race car and we have a drink bottle with what we need in there if we need to use that. There are all kinds of things that we have that we can use to make sure everything is safe and that we’re as prepared as possible for the race ahead of us. AM: Do you have to educate your crews that you work with and how does that work? RR: I have worked with the same race team for 5 years now. My doctor spent a lot of time as I entered the world of NASCAR with Roush Fenway to get with the team and to work closely with NASCAR’s medical team to get them comfortable with what I was doing to get prepared to get in the race car each week. What I was doing while I was in the car to manage the diabetes and to work with the race team and the whole team knows what’s going on and knows a lot more about diabetes now than what they did before I came on. I think that all of that just shows how important my doctor is to my success and to my diabetes management. AM: You have partnered with Eli Lilly for awhile now to share their Diabetes inititiave - what is that like? RR: It’s been a cool program to be with as I won at Daytona and wore the Eli Lilly colors. A few years later, I was in the #teamdiabetes stories and people responded well to it. As a race car driver living this high intensity lifestyle that might be a little bit different then what people expect us to be doing and sharing it through the program is great. AM: What should we keep an eye out for with this initiative? RR: Eli Lilly will release a cool 5 part series on NASCAR’s YouTube channel and gives people a feel for my story. The Road to Road America is what it is called and you can find out more at DriveDownA1C.com. Read more from the Aug Issue of Athleisure Mag and see Something You Should Know | Living with Diabetes as an Athlete in mag.